Upon arrival I was very excited to receive these googles. 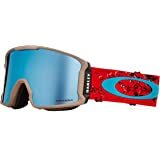 I have owned many Oakley products, but these were a big disappointment. The heating element worked flawlessly. The color combination was great as well and Prizm technology is worth the extra money. 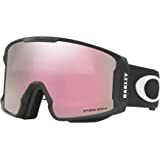 Hi Pink is fantastic for night skiing, which I haven't seen anyone mention with this lens, or goggles in general. Hi Pink is the best choice for Night use. The one downfall is the chunkiness of the battery pack that is on the side of your face. It is noticeable, and heavy, but really there isn't any other option that Oakley could have done with it so I would call that a non issue. They heating actually heats the inside of the glass enough to feel the heat on your face and the vibration feedback when pressing a button is extremely helpful. 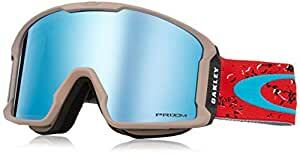 The issue I had with these googles was I was seeing double vision. I checked with many others and everyone was seeing the same result. 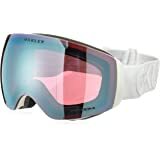 I have never had an issue with Oakley before, but these googles had bad double vision to the point that I had to stop wearing them and ultimately return them for the Airbrake XL where I have had no issue. I still am not sure what the issue could have been, but there was an issue with the lens I received. These googles have a great field of view, probably the best view i have had from any goggle. The lenses are perfect for any conditions. They vent pretty well, maybe a little too well, sometimes my eyes would get a cold breeze when riding the lifts. But no fogging issues what so ever. Came here exactly as described. Goggles work great to stop fogging. 1. 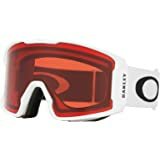 Neither the air circulation (at least with a helmet) or the anti-fog coating are effective preventing fog, particularly in snow. On the positive side, the rose prism color is fantastic in flat light. 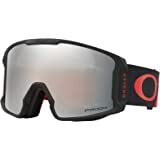 All in all, if you want effective fog prevention goggles, check out the Julbo Aerospace Goggles for a similar price. 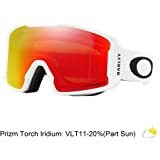 Awesome goggle, When I see sign of them starting to fog, I just turned the inferno on and it cleared it. Only semi negative is its difficult to remove the charging cover. I need to use a paperclip.